I can still remember feeling overwhelmed the first time I made a Kiva loan. So many options, so many deserving Kiva borrowers — where to begin? I didn’t have a preference on region, country, or loan type, but I did know with certainty that I wanted to lend to a woman. Microlending was developed to give the un- and under-banked access to capital; those too poor for a traditional bank to want to bother with. And while poverty certainly affects both men and women, it was women who, for many reasons, needed the extra leg up that microfinance can provide. Approximately 80% of borrowers on Kiva are women, and studies have found that women are more likely than men to use their earnings to support the family. Sure, men need microfinance services too, but not as much as women, right? So I loaned to a woman that day, and my subsequent eight loans have all been to women borrowers. As a Kiva Fellow, my first field partner was a girls’ education NGO, where I met a dozen young female entrepreneurs, and my second placement with an MFI (microfinance institution) found me meeting all women borrowers once again. I was seeing the power of Kiva in action all around me, but it turns out I wasn’t getting the full picture. My current partner, ASA Initiative is based in Cape Coast, Ghana, and serves the working poor in the country’s Central Region. Many of their borrowers are farmers, and I had the privilege of meeting eight in one afternoon, six of them men. And it should come as no surprise that each one of them was just as dedicated and hardworking as the women borrowers I have met since my fellowship began. Take Paul for instance. Paul is the Chairman of the Citrus Growers Association for the Central Region, and dedicates much of his time and energy into not only running his own farm, but helping improve those of his neighbors. He allows ASA use one of his sheds for their green energy initiative (more on that in my next blog), and accompanied my colleagues and me to meet the other borrowers, acting as the translator for those who didn’t speak English. Frederick welcomed me into the courtyard of his home with an enormous smile, and told me how he took out a Kiva loan to buy palm nuts for processing so he could diversify his agricultural offerings. 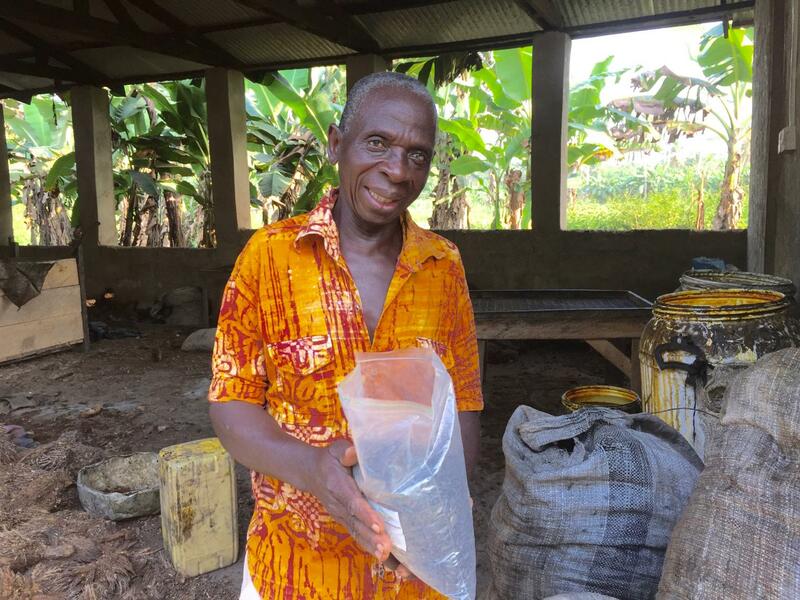 The palm nut oil business has been successful for him — he was able to process five tons in the first year, enabling him to cover the school fees for his three children, pay hospital bills, and even set aside some savings. 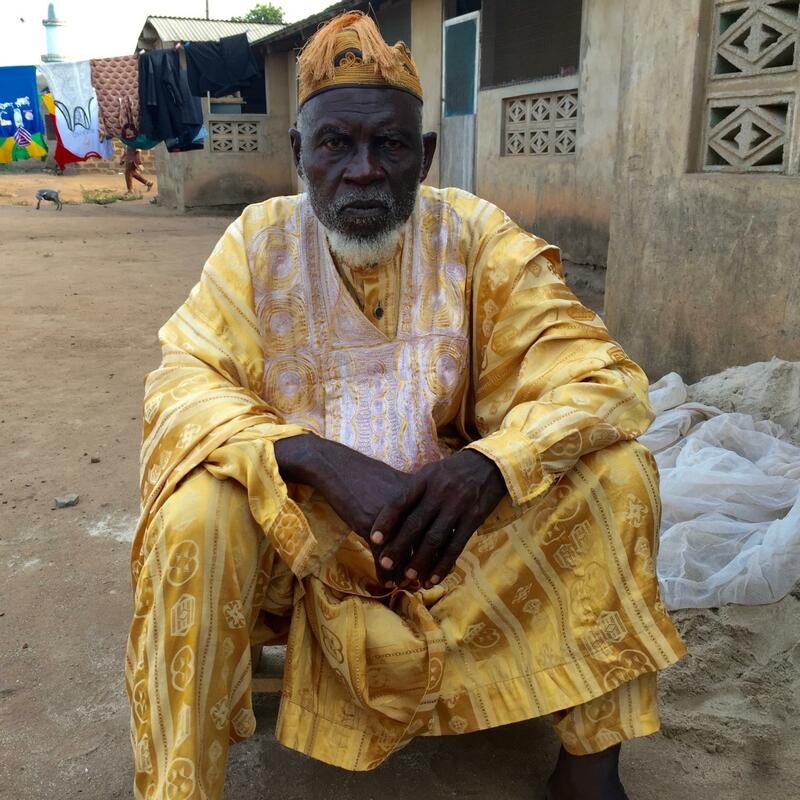 I next met with Alhaji in his courtyard while a half-dozen of his (adorable) grandchildren played nearby. 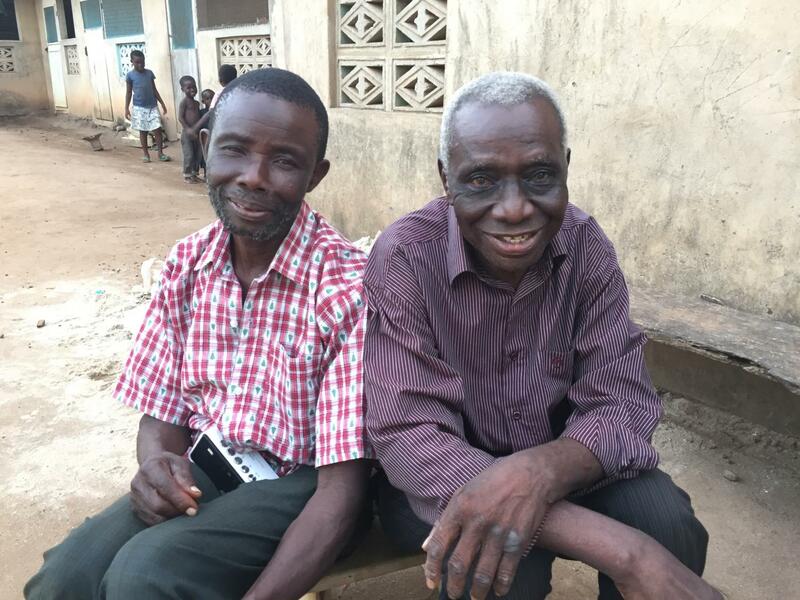 He only spoke Fante, as did Dawda, but with Paul’s help we were able to communicate about their children, crops, and future plans. These men all grow similar crops, primarily oranges, limes, coconuts, and palm nuts. They were dealt a blow recently when the food processor who normally purchases their products announced they would be unable to buy the farmers' crops this year. The men had to scramble to find another buyer, and it’s still TBD whether they will have a good crop at harvest time or get a fair price for their fruit. But they seemed optimistic, and each said that once he has paid off his current loan, he hopes to take a new Kiva loan to continue to expand his farm. Last, but certainly not least, was Isaac. He seemed a bit nervous and began our conversation by telling me he had recently been ill and unable to work his crops. I was confused about why he was telling me this until I realized that he thought I was there to ask about the status of his loan payments. I reassured him that that was not the purpose of my visit; I pointed at my colleague from ASA and laughingly said that collecting the payments was his job, not mine: I just wanted to learn more about his family and his business. 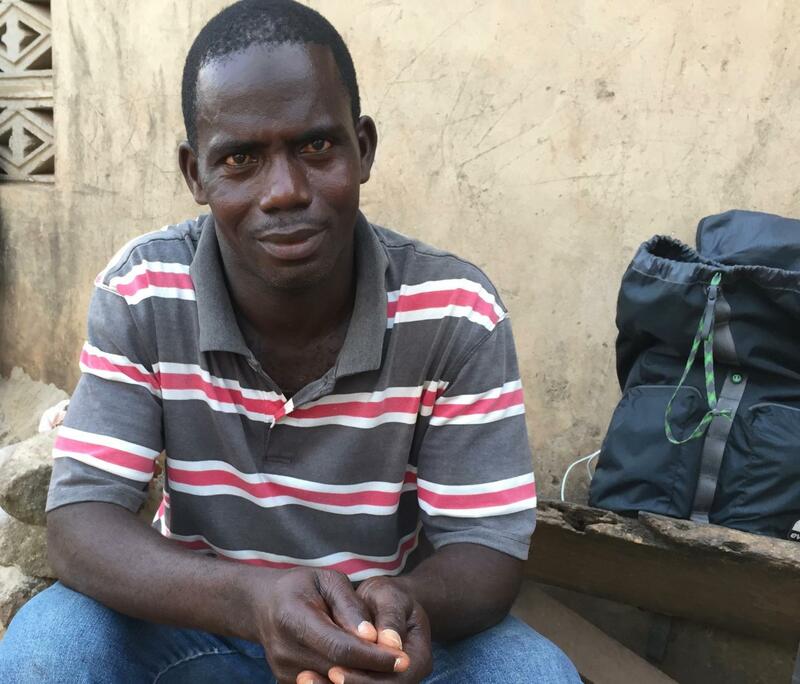 That seemed to put him at ease and he told me about his five children and the cocoa farm he hopes to return to as soon as his health improves. As we drove away from the village of Abura Enyinabrim, I thought about these six men and the families they were supporting, the obstacles they had encountered, and the way in which they, just like every female borrower I have met, truly embodied the spirit of Kiva. 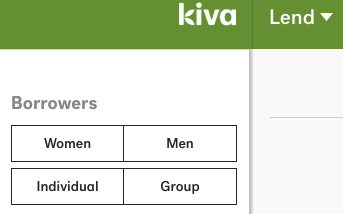 Needless to say, my Kiva loan portfolio will soon be going co-ed. To make a loan to an ASA Initiative borrower (male or female!) click here. Originally from Virginia, Susan has lived in Washington, D.C., for the past 20 years, working in publishing and communications for a retail advocacy organization. Her volunteer work with a local social enterprise incubator that supported sustainable technology-based solutions in developing countries sparked an interest in international development, particularly in market-based solutions to alleviating poverty. 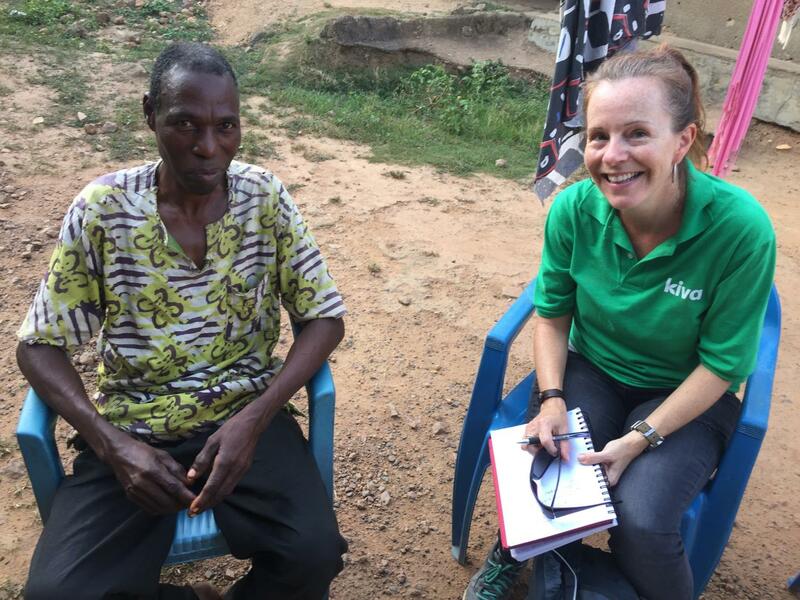 Hoping to transition into a social-impact career and wanting an immersive living-abroad experience, she began researching opportunities that combined both and was excited to learn that Kiva offered a fellowship program. She believes that microfinance has the potential to make a significant impact — particularly for women and families — around the world. She is thrilled to join the Kiva Fellows program where she is working with three Kiva field partners in Ghana — Camfed Ghana, Kingsbridge Microfinance, and ASA Initiative.